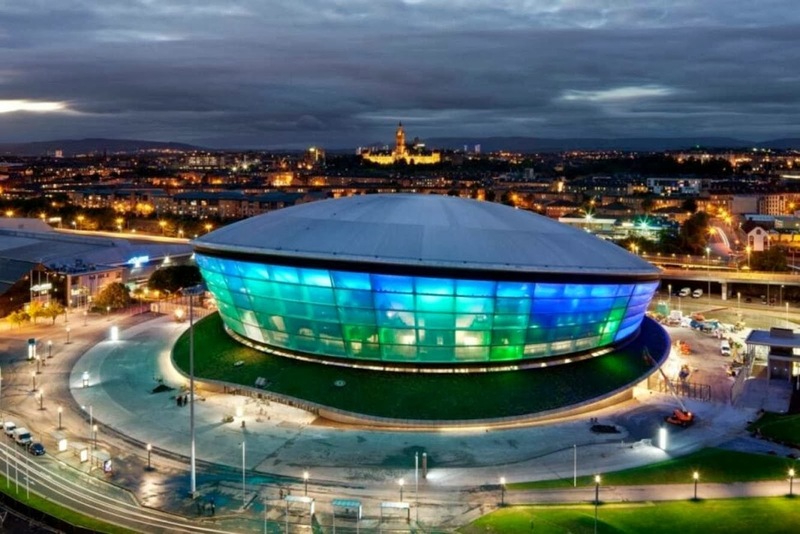 The Sse Hydro, Scotland’s largest purpose-built public event arena, will open to the public with a concert by Rod Stewart on 30 September. 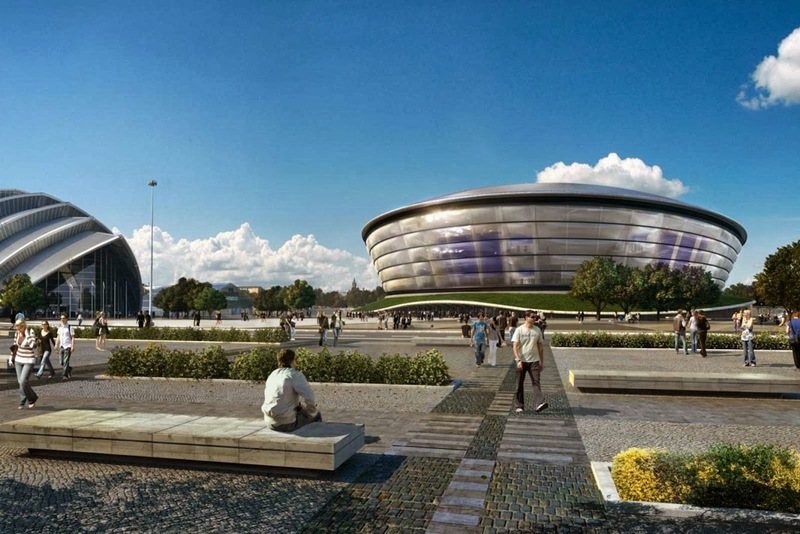 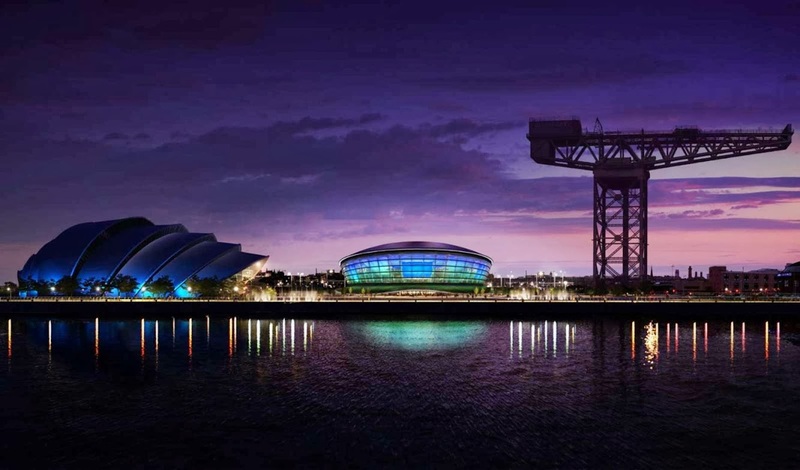 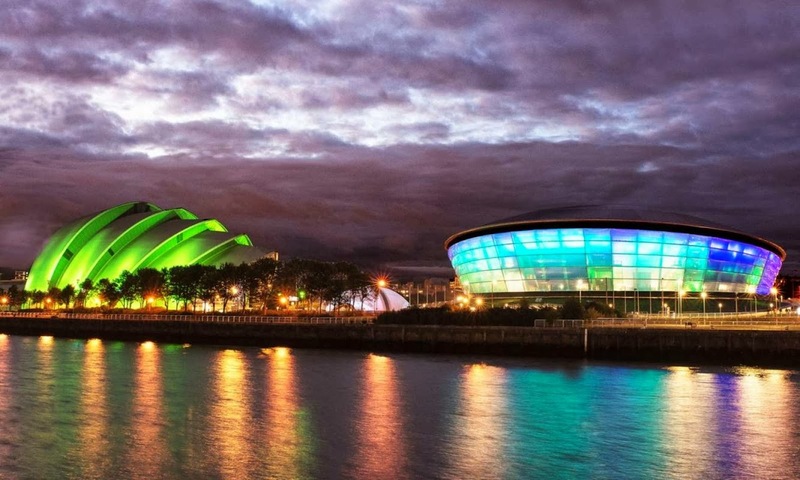 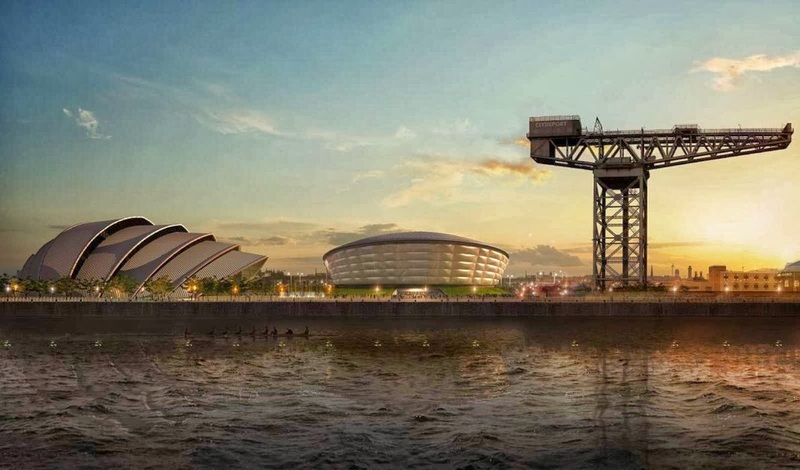 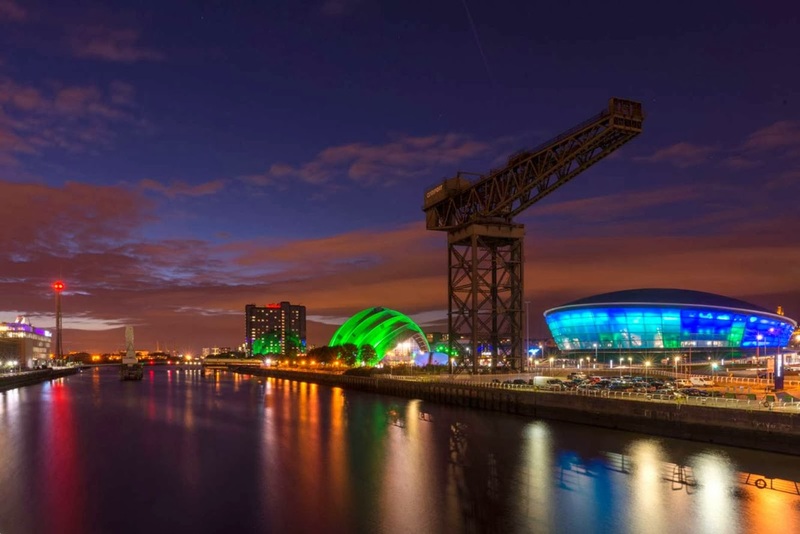 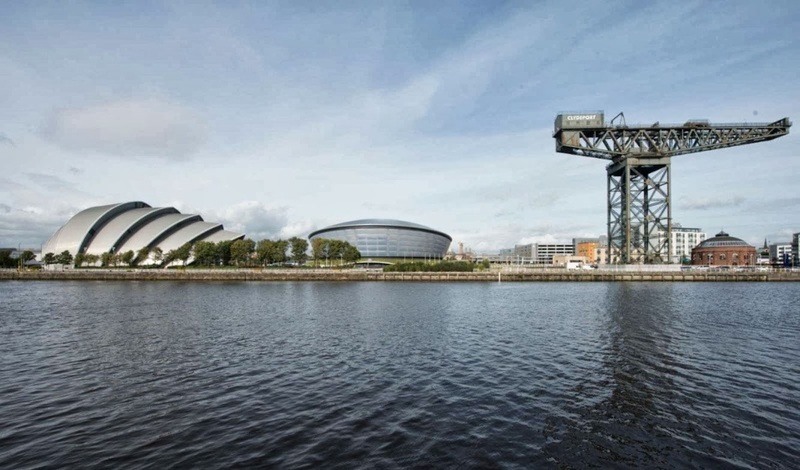 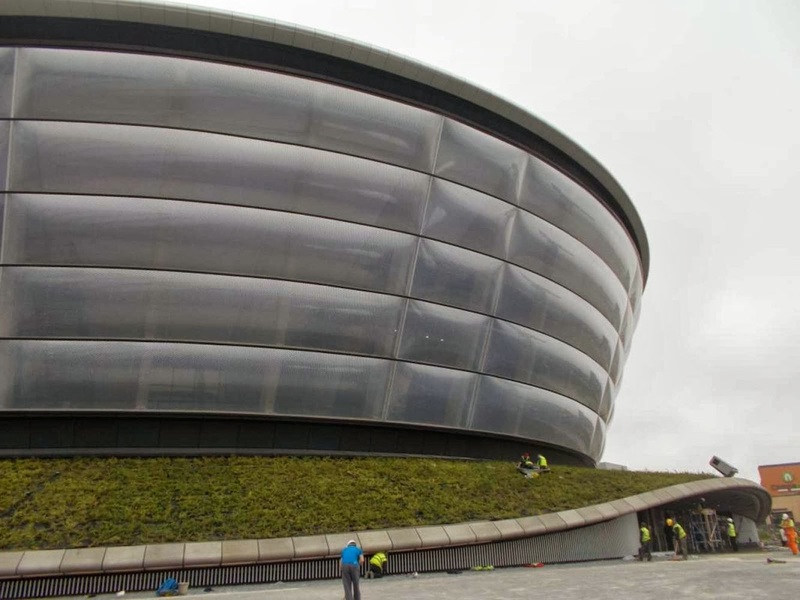 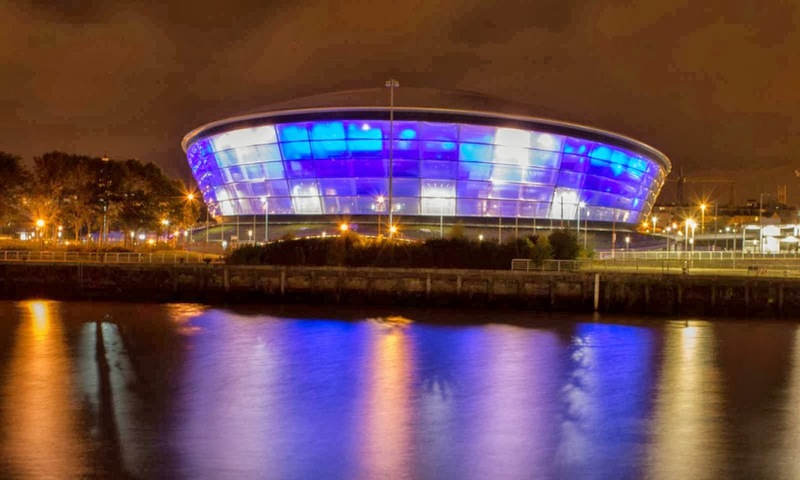 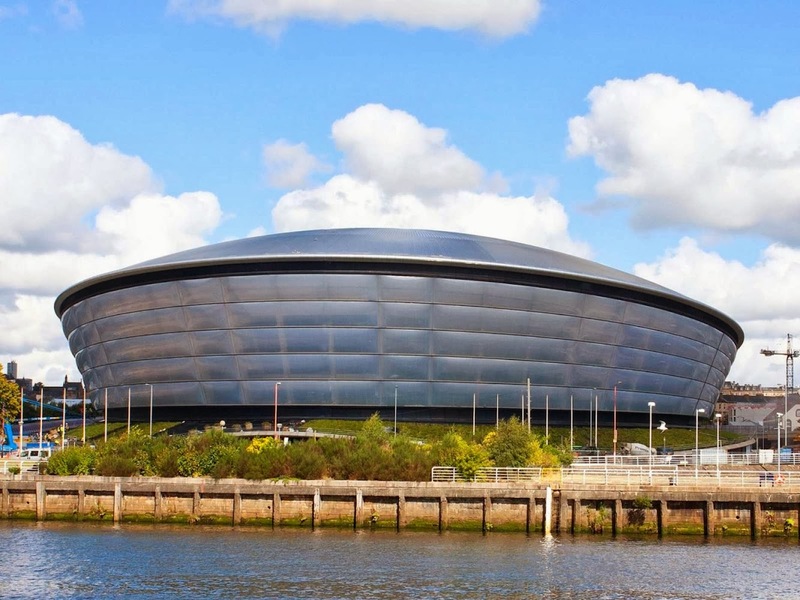 The Sse Hydro joins the Clyde Auditorium on the northern edge of the River Clyde to create a new entertainment destination within the redevelopment of Glasgow’s former docks. 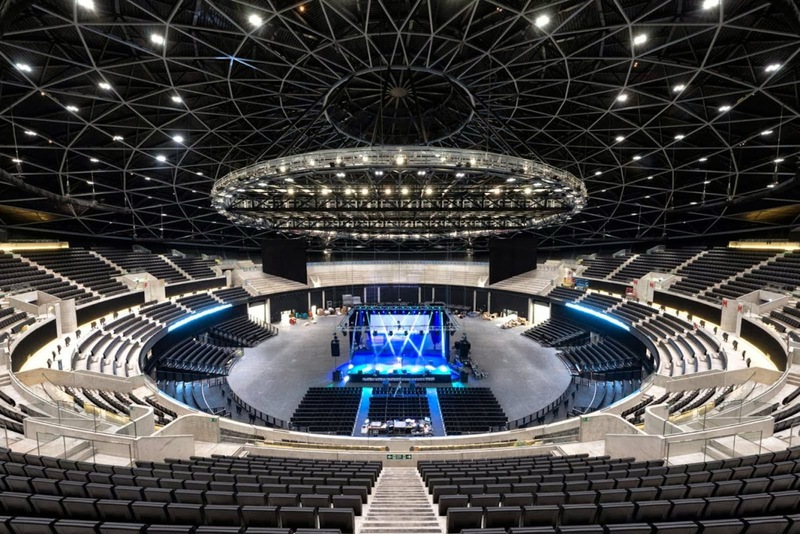 A highly flexible indoor venue, the arena’s 12,500-capacity auditorium bowl provides a combination of fixed, retractable and removable seating to enable a wide range of different staging and concert layouts – it can also be configured for a number of sporting events. 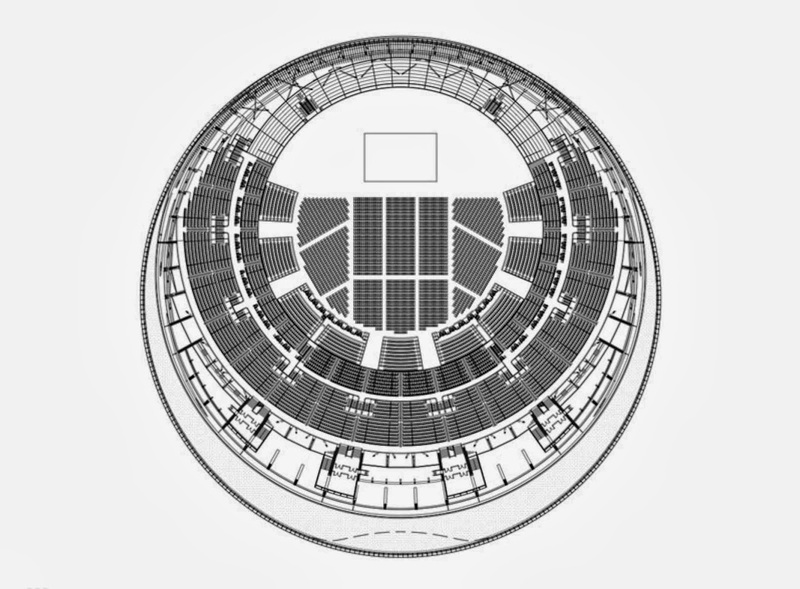 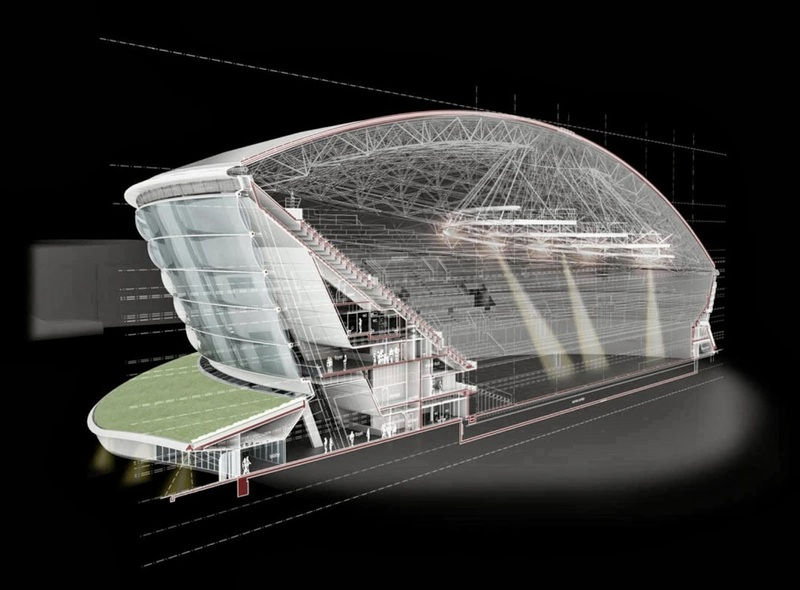 The building’s form is generated from the inside-out by the seating, which wraps around the stage above ground level and rises to the front, optimising the viewing angle and drawing the audience closer to the excitement of the performance. 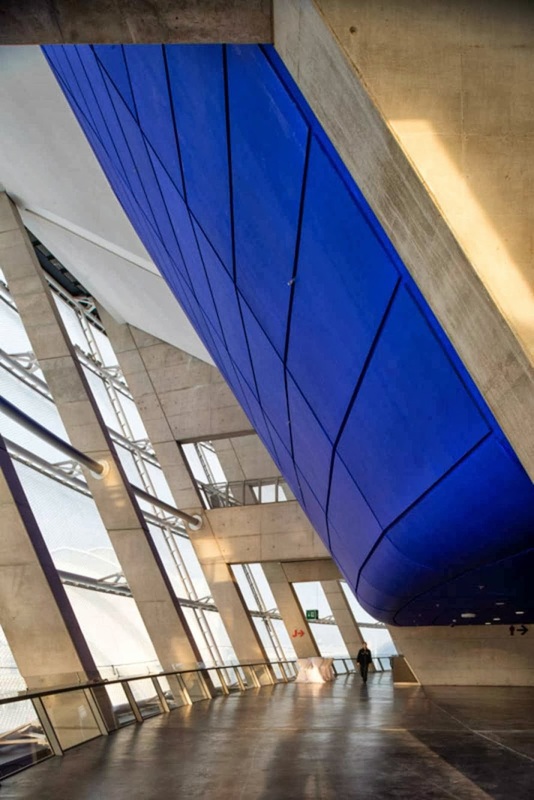 The roof canopy follows this distinctive angled profile, rising away from the busy main road to the rear to reveal a dramatic 40-metre-high elevation to the south – its dramatic structure spans 120 metres in a shallow dome of diagonally latticed steelwork. 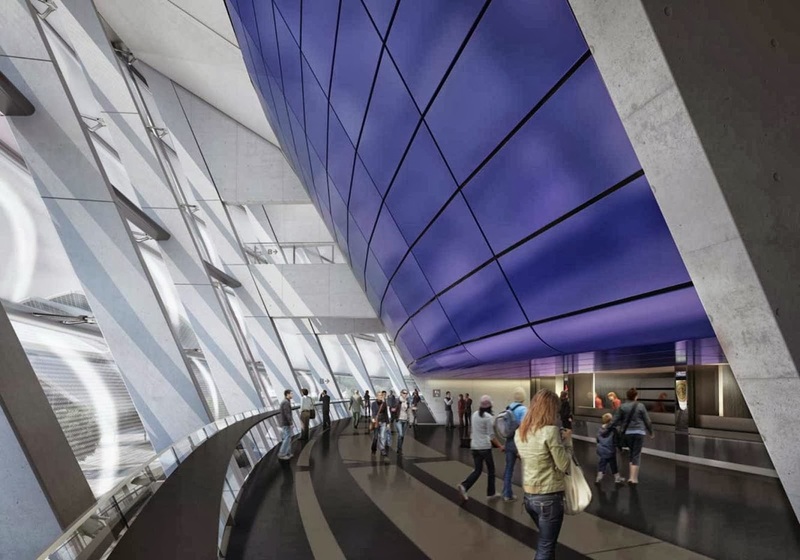 The upper part of the building is clad in ripples of a translucent material, onto which can be projected patterns and images, and which can be illuminated to make the building glow like a beacon for the new quarter at night. 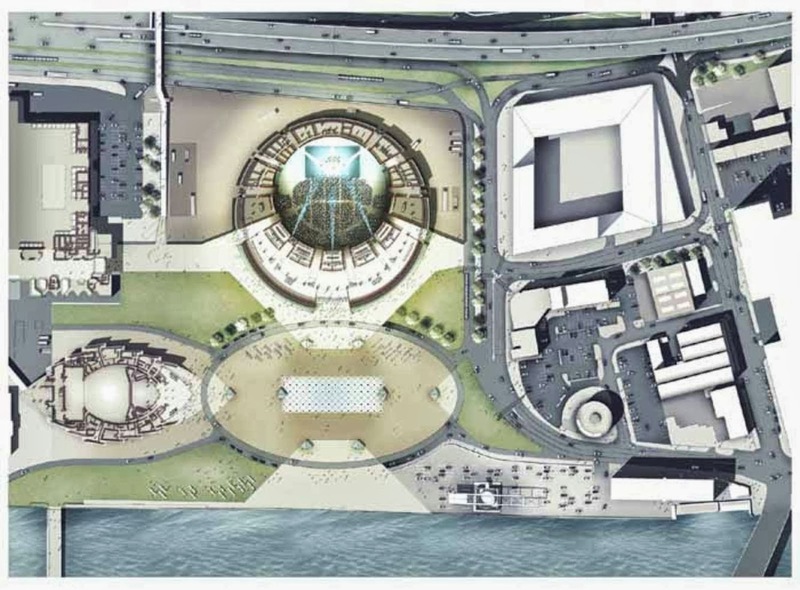 Opening up the riverside, the arena is set back from the water’s edge to frame a new public square between the two buildings. 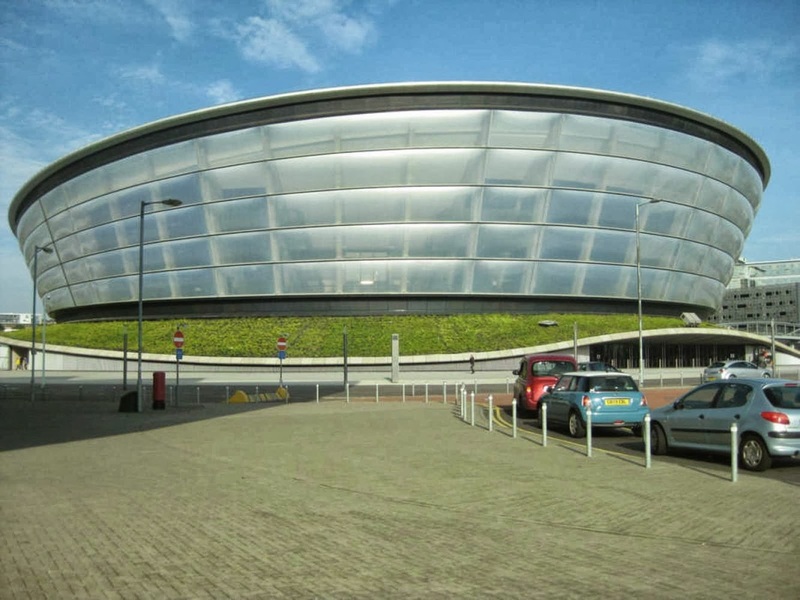 the main entrance is to the south of the Arena, via a generous top-lit lobby. 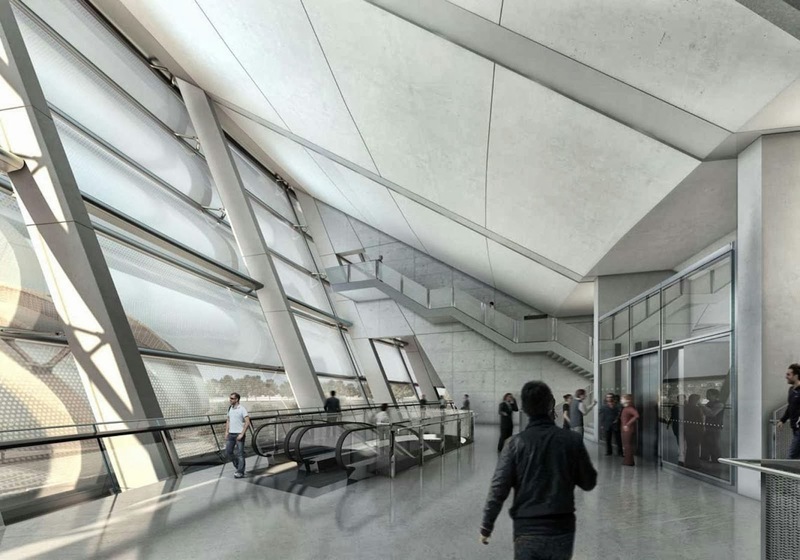 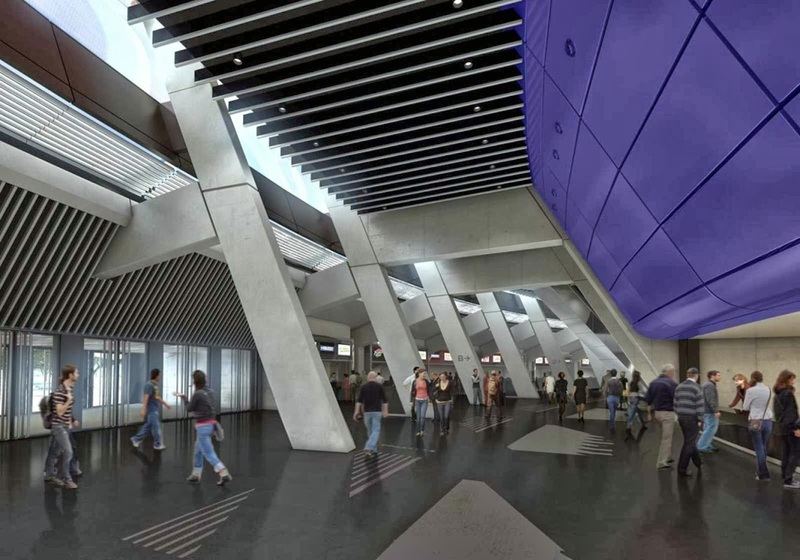 A second, fully glazed high-level atrium gives visitors panoramic views of over the public square to the river, and leads to further facilities, including a dedicated Vip floor with boxes and club seats.